I wrote a lot for this, dividing my firsts up into multiple categories that involved the traditional first purchase, but extended to some stranger places: my mom’s record collection; the first record store I ever went to (Viva Kemp Mill Records! ); my earliest memories of flipping though records in the Kmart and being a little scared of the KISS, Ozzy and Sabbath stuff; all the way to the pawn shop that was right next to the comic shop I used to frequent every day after middle school, where I bought a then almost 10 year old copy of AC/DC’s Back in Black, for a quarter…the first tape I bought, my first 45... I thought I remembered more specifically, but it's hard to put a finger on the actual first of whatever category I actually money down on. I do remember some purchases: the vinyl pressing of USA for Africa, which was...whatever, in retrospect, but did have a blistering live version of Springsteen doing Jimmy Cliff's "Trapped", which to this day gives me the shivers when I hear it. I realized, though, my musical memory is endless, each recollection better than the one before, so many stories that spring up from hearing even a two second scrap of a tune. Music, for those who love it, resides in what the soul must be. And the knowledge that one possesses of their musical past and how it has built towards their ever-living, always sound-tracked present, has to reside somewhere deep in the physiology, someplace close to the DNA, the stuff that makes us who we are. After considering the many, many options I could qualify for “first”, I decided to go with this: My friend’s older brother’s LP collection. David S. was a fourth grade rock god to me. He knew more about the Stones and the Beatles than anyone I knew. Which is to say, he was the first one to tell me about those two bands, and therefore was the ultimate authority. All his facts and tidbits and knowledge, especially of lyrical content and album cover art must have to come to him from a much older, very educated older brother (I remember thinking his parents were his grandparents when I met them—grey and old; David was a ‘mistake’ baby). He came over to my house for a playmate (though we didn’t call it that back then) and we spent much of the afternoon pouring over the covers of the stack of albums he brought and listening to the music. Tattoo You was really fascinating to me, with the tribal images of Mick and Keith looking like Maori warriors. 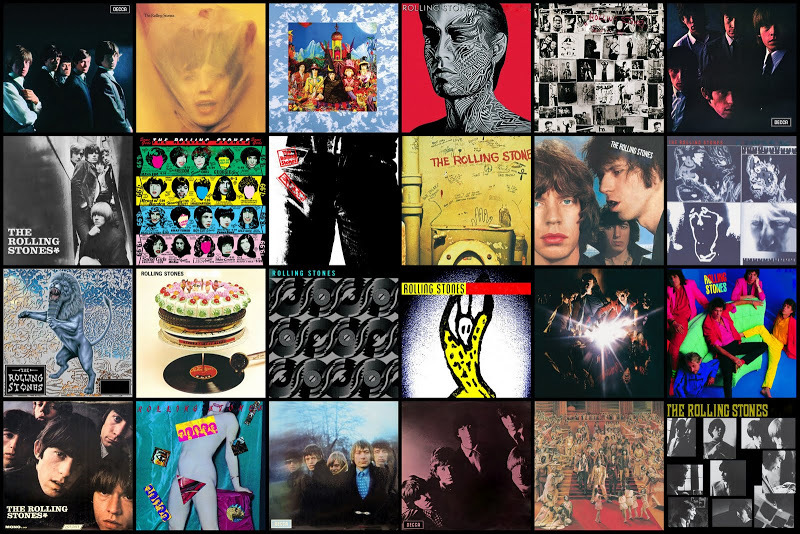 Beggars Banquet was somehow a little scary looking, a place I shouldn’t be; Sticky Fingers was titillating dirty because we could pull on the zipper in the pants. Some Girls was fun in a more innocent way: the die-cut, movable features was a lot like the pop-up books I still liked at that age. He also had a copy the Beatle’s Yesterday and Today with the infamous butcher scene, though it must have been a reprint. Sgt. Pepper’s was what really grabbed me, and we poured over that famous cover scene for what seemed like hours. Abbey Road was awesome, too, due to the fact that he explained the legend that Paul was dead and this was representative of his funeral and that each Beatle was a member of the funeral party. Mind you, all of this intense scrutiny of the art work and the head-spinning tales David was telling me—the stories beyond the songs—was done to a soundtrack of what could arguably be considered the greatest rock music ever recorded. 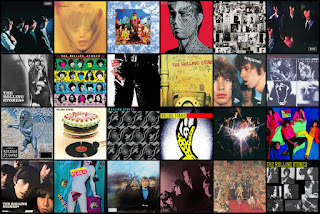 Like so many, The Beatles and the Stones hold exalted status for me in the pantheon of rock, and regardless of how far afield I stray, sometimes for good, often for worse (I went to see Quiet Riot in the 8th grade, Bon Jovi and Cinderella in 9th), I always go back to the Beatles and Stones. It doesn’t make me unique; it just means I have a pure rock pedigree, good genes, if you will. We eventually got around to the White Album and then, because I wasn’t really as singularly obsessed with music as David, I took us out to play war in the construction site nearby and David eventually, incensed and bored, stalked off and went back to my house. My mother had to take him home. It was a great day, one that sparked my musical journey, despite David not wanting to be my friend anymore (he was really offended at the joy I took rolling around in the dirt, shooting a fake machine gun and running myself through freshly hung drywall in effort to emulate fabulous special effects like in the movies). A great day, but one that in retrospect shows me that perhaps even at that age, I was already lacking any kind of particular, obsessive focus that if I had may have led me down a very different path in life. David might have become a rock star for all I know—he had the singularity of mind to do what it took to make great music. He had the pedigree; he knew the legends and the stories and the myths; he knew what the songs were about, especially the dirty ones, even if we didn’t really know what was going on—Jagger’s penchant for “make sweet love” as a lyric, while ubiquitous, didn’t mean much to me then, other than I knew I should giggle when I heard it. He had the moves and the ability to mimic, especially Mick Jagger. Have you ever seen a 4th grader strut and prance and mime the vocals of Mick Jagger? No? You should—it’s a lot less creepy and whole lot more entertaining than those little kids who always seem to be part of any Elvis Presley impersonation festival. 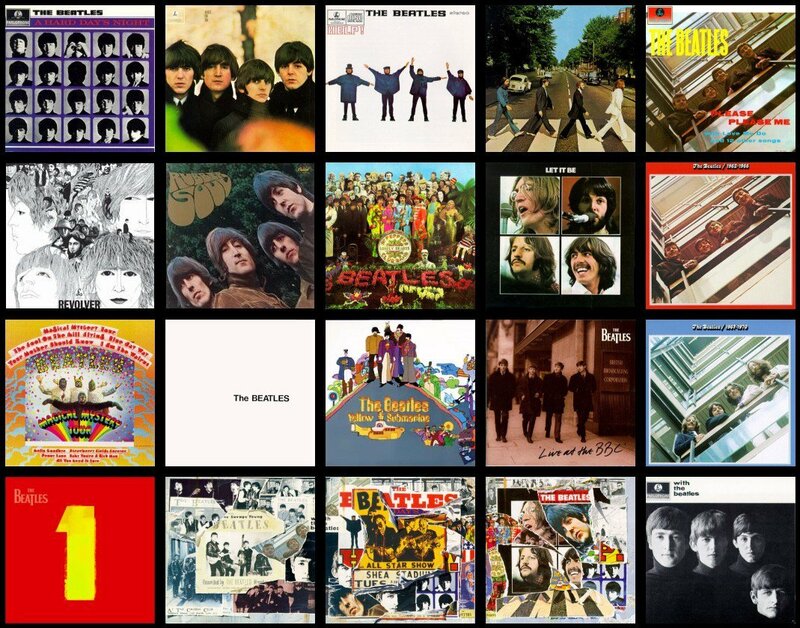 What is amazing, though, is how certain sounds, and in this case, album sleeves, certain images, especially the visual and aural beauty of rock music, can work to blow open your understanding or perception of the world around you. Up until then, I’d been grooving to things like the AM radio, or stuff that my dad would sing around the house. I had a few soundtracks to movies I loved (Star Wars, The Muppets), but otherwise, like a typical nine-year-old kid, my musical sensibility was scattered at best, influenced by what was accessible to me. I didn’t have that ever-important older sibling to act as my musical sage, guru and guide. So, I made do with what was available to me and, given the passion music stirred in me, I worked pretty hard at finding sounds after that fateful day when David S. brought over all those records. It’s been a good journey, one that gets better the longer it goes on. In terms of the metaphorical quest, this is one that needs no end, as the longer the way, the greater and more abundant the rewards. In October of 1987 I purchased The Joshua Tree, so well matched for the most beautifully dark and moody time of the year in windy and wet-leaved Wisconsin. It was a 10-minute walk from the Exclusive Company record store on Main Street to my home on Hickory Street. I felt a foreign cool carrying home that cassette in the Exclusive Company’s famous black bag with silver writing. I had hoped I would bump into a girl who’d ask me what I bought at the Exclusive, and we’d open into a conversation about the hit songs. Of course at that time, nobody knew what else was on a tape unless you bought it and listened to it all the way through. That’s where the value was, of course: the surprises only you could access through the purchase. 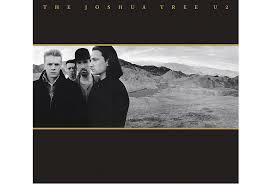 Within the first year I had purchased The Joshua Tree, my first cassette and first music purchase ever, I probably listened to it over 100 times at night as I fell asleep. In this capacity, it was rivaled only that year by side one of New Order’s Power Corruption and Lies and side two of the Cure’s Standing on a Beach singles collection. I could only listen to one side because I had the kind of tape player that didn’t switch sides naturally and instead when it reached the end of a side it banged rather than clicked to a finish. If I had the energy, I’d wake up and flip it. I cried over getting dumped to this tape; I sprinted home with Sun Country Peach Wine Cooler on my breath to meet curfew listening to this tape, twisting the jack of my cheap headphones expertly to avoid it playing into only one of my ears; I psyched myself up before swim races listening to “Bullet the Blue Sky”, “In Gods’ Country” and “Where the Streets Have No Name”. I remember walking the five minutes to Sunday Night bible study feeling edgier from listening to it, ready to challenge my very friendly CCD teacher. I get goose bumps now realizing how naïve and lame I must have sounded talking about how Bono didn’t stand for American politics nor institutionalized religion. It took a couple months before I started fast-forwarding through the Joshua Tree in order to skip the hits and start with “Bullet the Blue Sky”. Before the tape could bang to a stop, I’d get up and turn it over for the darker and more drifting side two, usually waking up again during the rolling “In God’s Country” and the harrowing “Exit”. Bullet the Blue Sky, with Bono’s sudden grunts and groans, Larry Mullen Jr’s barrel-chested drum approach and the Edge’s thick guitar is audaciously akin to “Whole Lotta Love”. Even the melody is similar. In hindsight it’s also the tune that sonically, along with Bono’s spoken-word delivery (“…pealing those dollar bills/slappin’ em down ‘100’ ‘200’ and I can see those fighter planes…”), probably foreshadows 1991’s ultra-cool but tepid Achtung Baby. Until this week I hadn’t listened to this nearly perfect album for over ten years and not until now did I realize how bluesy it is, almost a futuristic dark Americana sound. At the time I was mostly seduced by Bono’s conviction and the Edge’s guitar playing, which develops on the signature infinite guitar sound (originated by Michael Brook) that he started on the Unforgettable Fire. A lot of people had their hands producing this effort including Brian Eno, Flood, Daniel Lanois and even Steve Lillywhite. It’s a wonder it doesn’t sound disjointed. Unlike my predecessors in this theme, I’m pretty confident that Cat Stevens’ Tea For The Tillerman was actually the first album I owned. I’ve written before about how my interest in rock music started in the summer of 1969, listening to the AM radio on the way to day camp. And the following summer, I remember that the cool, sophisticated counselors (who were probably all of 16 or 17), were listening to Cat Stevens. I became a fan, and I asked someone (parents? grandparents?) for a copy of Tea For The Tillerman, which I received, and listened to repeatedly. I remained a Cat Stevens fan for years—the first concert I went to without my parents was to see him at Madison Square Garden with my friend Laura in, it appears, 1976. I remember that we sat way up in what were then the “blue seats,” but it was still great (although not everyone agreed). My wife is also a big fan, but by the time that we got together he had already converted to Islam, changed his name and stopped performing until his return in the mid-2000s. And a few years ago, I wrote a piece about him over at Cover Me. Tea For The Tillerman is, undeniably, a great album. It was both a critical and commercial success, and pretty much every song is a winner. It was the record that made Stevens a household name around the world. In some ways the most unusual song on the album is “Father And Son,” originally written for an abandoned musical theater project about the Russian Revolution (which sounds like it could have been Max Bialystock's second idea). It features a dialogue between a father, sung by Stevens in a lower register, and a son, sung in a higher register, in which the son expresses his desire for independence and the father argues in favor of a more traditional future. Despite its initial historical inspiration, the song captured the generational divide of its era in a way that showed both the conflict it caused in families without neglecting the love. By the way, in the Cover Me piece there is a great version of the song by Johnny Cash with Fiona Apple. Stevens, shortly after the song was released, was quoted as saying that "I’ve never really understood my father, but he always let me do whatever I wanted—he let me go. 'Father And Son' is for those people who can’t break loose." This was probably not the favorite song on the album of the 9-year old me, but the 55-year old me, who has two adult children, and recently lost a father he was very close to, has found it quite touching and perceptive. It’s probably a sign that it is a good song, when it resonates with you as a child and as an adult, right?